When my students and I read Wendy Leibowitz’s article “Technology Transforms Writing and the Teaching of Writing,” I found myself drawn less to the details about blogs, word processing, and email that dominate the article and more to a single observation about composing longhand: “I encourage students not to write their first drafts on a computer, so they might actually think before putting words on the page” (Bernard qtd. in Leibowitz). That sentence led me to reflect on the continuing role of old-school writing in my own classes. Although my students use new technology (posting blog entries and submitting papers to the university’s Learning Management System, or LMS), they frequently put pen to paper as well. I have persisted in requiring them to write longhand as a way of cultivating focus and depth in their prose. But is writing by hand still relevant in the digital age? That question—one that’s frequently raised now in response to the new Common Core Standards—prompted me to explore the science of handwriting and to consider what new technologies teachers are using with, or in place of, the old. The bibliography that follows consists of Leibowitz’s article, which spearheaded my research, and two additional articles: one that examines the role of handwriting in cognitive development and a second that investigates how blogs have become a fixture in many college courses, in some cases replacing the traditional term paper. Together, the three articles create a strong case for preserving the tactile custom of putting pen to paper while embracing the new technologies that will inspire the best writing. Whether these annotations (all drafted by hand) will serve as preliminary writing for an essay of my own, I cannot say. Either way, the insights I have gained through this research will inform the choices I make as my teaching—itself, a work in progress—continues to evolve. Leibowitz, Wendy. “Technology Transforms Writing and the Teaching of Writing.” Essays on Writing. Ed. Lizbeth A. Bryant and Heather M. Clark. Boston: Longman, 2009. 137-142. Print. In “Technology Transforms Writing and the Teaching of Writing,” Wendy Leibowitz reports that writing in the digital age presents both “perils and possibilities” for students (138). Her conversations with professors reveal that their attitudes and approaches vary considerably. While some require students to use digital technology throughout the writing process, others advocate limiting screen time, correlating online reading and writing with diminished critical thinking and writing skills. 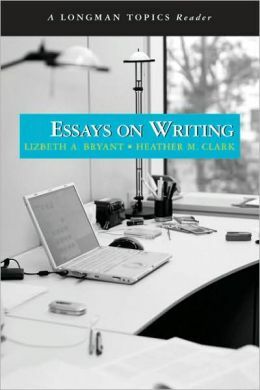 Whether they adhere to April Bernard’s view of Web writing as “adjunct to traditional forms” (140), or to Robert Coover’s belief that it’s a “fundamental element of literacy” (141), professors find themselves rethinking the tactile experience of putting pen to paper and seeking effective strategies for using the newest technologies to improve writing instruction. Leibowitz’s interviews with eleven professors do not constitute comprehensive research, but her article presents an informative overview of the variety of ways professors teach writing in the digital age. Though she writes for academics—specifically readers of The Chronicle of Higher Education—her straightforward prose speaks to a general audience as well. Readers who encounter her article now, more than a decade after its initial publication, may wonder how the professors she interviewed have since adapted their teaching to address the prevalence of social media and texting in students’ lives. In addition to publishing articles in The Chronicle of Higher Education, Leibowitz, an attorney turned journalist, has written on technology and the law for The National Law Review and The American Lawyer. Keim, Brandon. “The Science of Handwriting.” Scientific American Mind 24.4 (2013): 54-59. Academic Search Complete. Web. 11 Nov. 2013. In “The Science of Handwriting,” Keim Brandon explores how his belief in the benefits of writing longhand finds scientific support in recent studies. Keim recounts a five-year research project conducted by Virginia Beringer, an educational psychologist at the University of Washington, that demonstrated second, third, and fourth graders’ ability to write more rapidly and express more ideas when they composed by hand. Along with Beringer’s study, Keim outlines brain-imaging research conducted by Karin James, a cognitive neuroscientist of the University of Indiana, Bloomington, revealing that learning cursive activates multiple areas of the brain that remain dormant when we type. Writing for readers of Scientific American Mind, Keim addresses a general audience of readers interested in psychology and neuroscience. His reporting of Beringer’s and James’ studies points to the critical role of handwriting in cognitive development, a subject of particular concern to many parents and educators as the Common Core Standards Initiative—which deemphasizes handwriting in favor of keyboarding—has prompted a national conversation about the future of cursive in the classroom. Brandon Keim, a freelance science journalist, has written articles for Wired and Psychology Today, as well as Scientific American Mind, and has been featured on broadcasts of National Public Radio’s Science Friday and Talk of the Nation. Richtel, Matt. “Blogs vs. Term Papers.” Newyorktimes.com. The New York Times Co., 20 Jan. 2012. Web. 13 Nov. 2013. In “Blogs vs. Term Papers,” Mat Richtel reports on the debate in higher education on how best to teach writing in the digital age. While some professors have followed the lead of Duke University’s Cathy Davidson, replacing the traditional term paper with shorter, more frequent blog assignments, their detractors—including Douglas B. Reeves, columnist for The American School Board Journal and William H. Fitzhugh, editor of The Concord Review—argue that blog writing lacks the academic rigor that fosters critical thinking. For Andrea Lunsford, professor of writing at Stanford University, pitting blogs against term papers creates a false opposition. Rather than replacing term papers with blog posts, Lunsford requires students to produce multi-modal assignments: term papers that evolve into blogs, websites, and video presentations. A Pulitzer Prize-winning journalist, Matt Richtel writes for The New York Times about technology and its impact of society and culture. His series of articles “Our Brain on Computers” (2010) explores how our constant use of digital devices affects not only our behavior but also our thought processes. His 2009 series about the dangers of distracted driving won the Pulitzer for national reporting. Even though I received my first computer in the 80’s as a gift, I didn’t use it for first drafts for a couple of years. Paper and pen felt more natural for getting a start on a project. Now I do start writing fiction on my computer. Perhaps because of length, or some obscure reason, I still begin writing a poem with a pencil on a legal pad. You’ve got me to thinking. Thanks!